For military borrowers, VA loans provide exceptional benefits exclusive to active duty servicepersons and military veterans. To provide assistance for veterans, the Department of Veteran Affairs (VA) enforces strict guidelines on the closing costs which lenders can levy to VA borrowers. This article examines the fees that VA borrowers may be subject to, as well as the strategy to minimizing these closing costs for VA loans. VA requirements limit fees for veteran borrowers, however, many VA borrowers mistakenly believe that VA mortgages do not include any closing fees. While not technically true, eligible borrowers can avoid paying any closing costs on VA loans by strategically arranging the real estate contract. Essentially, the loan amount for mortgages guaranteed by the Department of Veteran Affairs constitutes the less of the purchase price or the appraised value of the property (plus the cost of the VA Funding Fee). Borrowers who would like their closing costs to be funded with the VA loan should negotiate with the seller to pay the closing costs and prepaid charges in exchange for raising the purchase price to correspond with these fees. If the home appraisal is for this increased price or more, the borrower can fund closing costs within the mortgage balance. 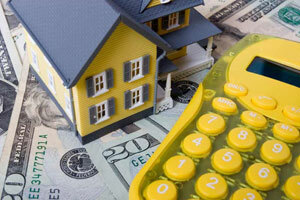 Closing costs and expenses can range from 3%-5% in most areas, a wide range depending on the price of the purchase. Consequently, borrowers who would require a more specific price should seek a Good Faith Estimate (GFE), which assesses within a reasonable margin of error the cost of securing the VA mortgage. Veterans can be responsible for paying the fees associated with hiring a VA Appraiser and VA compliance inspectors. Additionally, eligible VA borrowers can pay for a second appraisal if they would like to request a consideration of value; this happens typically if the first appraisal is lower than anticipated. However, VA borrowers cannot fund the second appraisal if the lender or seller has requested a reconsideration of value or if any other party besides the veteran or lender orders the appraisal. The veteran may need to pay expenses to account for recording taxes or other fees associated with keeping records. Veterans may need to pay fees to cover the cost of retrieving the borrowers’ credit reports. At closing, veterans may pay the portion of taxes, assessments, and similar charges for the current year taxable to the borrower and the initial deposit for the tax and insurance account. Veterans can be held responsible for hazard insurance premiums, including flood insurance where necessary. VA borrowers can pay the actual amount charged for the assessment of whether a property is located within a special flood hazard region if the assessment is presented by a third party who affirms the accuracy of the determination. If the lender requires a survey to be performed, the veteran can fund these expenses. When applicable, the veteran can pay any expenses allocated regarding title examination and title insurance. If the lender determines that an environmental protection lien endorsement to the title policy is required, the expense of this endorsement may also be charged to VA borrowers. For VA borrowers securing refinance loans, the veteran can fund fees for Express Mail or similar services if the saved amount of interest cost to the veteran exceeds the cost of special postal services. Unless exempt from the fee as a result of disability (10% minimum disability from the Department of Veteran Affairs), all military members must pay a funding fee to the VA, which varies depending on if the borrower has acquired a VA loan previously and the size of the down payment. Fees other than those above in this list may be levied to VA borrowers according to local variances only if expressly authorized by the VA. In some cases, the lender may request that the VA approves a fee if traditionally charged to borrowers in a particular jurisdiction and if considered both equitable and customary within this jurisdiction.